On March 5, we had the lecture with Professor Janice Morand. She works in INTERNSHIP and CAREER CENTER of UCD. At first, she talked about job hunting in UCD. She told us that 88.5% of College of Biological Sciences graduates report participating in at least one internship during college and 23% of graduates went directly to graduate or professional school. Next, we described an accomplishment each other. Everyone had an interesting accomplishment. We learned many things from this section. For example, importance of effort and group. Finally, we tried Career Research. The types of people can be roughly classified into six types. They are investigate people, artistic people, social people, … Read moreSpecial lecture!! On 3rd March, We had the second sports festival. We played basketball. There were twenty people including Chinese students. They played basketball with English only and we got minus points if we spoke Japanese. We also invited Saudi Arabian students. Next time will be held tomorrow. We will play ultimate at Russell Field. We 34 UCDavis members went to San Francisco on this weekend, Saturday and Sunday as a project of Ojamap. We spent most of the time on activities of group consisting of five or six members. We could not only go to many places, but get along with group members more. I will tell you about my story in San Francisco. Some groups went to Academy of Science, others went to Fisherman’s Wharf. 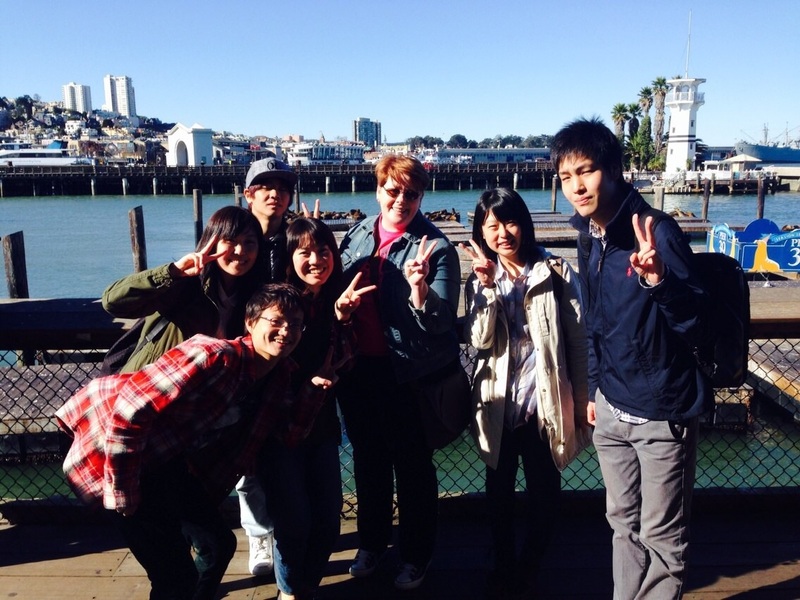 In case of my group, we went to Academy of Science on first day, and went to Fisherman’s Wharf on second day. About Academy of Science, I was moved to a vast land. After that, we went … Read moreIn San Francisco~!